Robert O’Connell, former CFO of General Motors and CEO and chairman of General Motors Acceptance Corp., died Friday in Boston. He was 76. 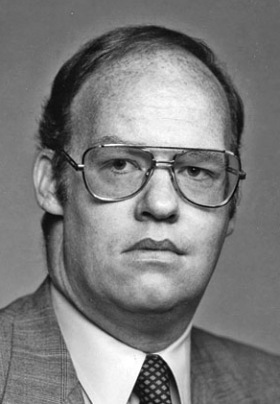 O’Connell, who received a bachelor’s degree in economics from Yale University and an MBA from Harvard University, joined GM’s New York treasurer’s office in 1965. He transferred to Detroit in 1970. He rose to director of the product planning group, then was named vice president of that group when it was given responsibility for marketing. GM’s fortunes turned south. The automaker suffered a staggering $6.4 billion combined loss in 1990 and 1991 -- attributed to the Persian Gulf War, a recession and market share losses -- and O’Connell was demoted to running GMAC. At the same time, GM President and COO Lloyd Reuss and Executive Vice President F. Alan Smith were demoted and removed from the board. At the helm of GMAC, O’Connell brought stability back to finance subsidiary and navigated it through rocky shoals, including a scandal in which a New York dealer was accused of defrauding the company of $436 million. Fallout from the scam included the early retirement of several GMAC officials, including then-Chairman John Edman. Other high-ranking officials were reassigned within the corporation. GMAC's credit ratings were downgraded, not because of its financial record, but because of its automaking parent. Still, the finance company made healthy profits under O'Connell. "Bob O'Connell has had a long and distinguished career in a variety of roles at GM. He deserves special thanks for running GMAC during an extremely difficult and challenging period," said CEO Jack Smith when O’Connell retired from the company in 1994. In 1995, O’Connell became chief staff officer of EMC Corp., an information technology and data storage company. In 1997, he moved to RWD Technologies, a provider of training to boost worker productivity, in 1997 as senior vice president for strategic business planning and as a member of the board, and he was its CFO from 2000-2001. He also held board positions at CenterPoint Energy and Gulfmark Offshore Inc. in the 2000s.